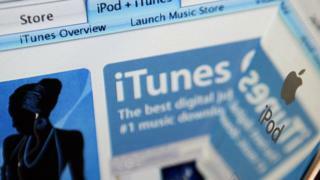 An elderly woman says she was left feeling "stupid and ashamed" after falling victim to a growing iTunes voucher scam, losing £3,000. The cold-calling con, which authorities have warned is becoming more prevalent, saw the 77-year-old from Eastbourne convinced she had an unpaid tax debt. Sussex Police has sent out a renewed warning after the victim was coerced under threats she would be arrested. PC Bernadette Lawrie said: "These criminals target vulnerable people." The victim, whose identity the BBC has agreed to protect, was directed to buy £1,000 of vouchers from supermarkets, and read the serial numbers out to the caller. He then told her to buy £2,000 more to "cancel the warrant" for her arrest. She said: "It all happened so quickly. I was just getting ready to go out and then that hit me. "I kept thinking 'this doesn't seem right, but if I don't do it I'm going to get arrested'. "So I just followed everything he told me to do." In the past two years there have been 1,500 reports of older and vulnerable people being targeted by fraudsters in this way. PC Lawrie added: "Under no circumstances do HMRC contact an individual over the phone and demand any outstanding money, request your bank details or ever arrange collection of bank cards from your home address."